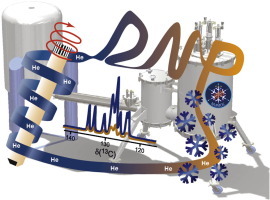 Our group has a unique set of expertize ranging from DNP, quadrupolar & biomolecular NMR, computational chemistry as well as advanced instrumentation development (especially in cryogenics). Notably our expertise ranges from theoretical spin dynamics in the solid-state to the design of advanced solid-state NMR experiments for improving sensitivity and resolution. This theoretical and experimental knowhow allows for a deep understanding of issues involved in the structural determination of macromolecules (such as amyloid fibrils and self-assembled nanostructures) and advanced materials. The methodological and instrumental developments, currently on-going in our lab (pulse sequences, data treatment, sample preparation, etc. ), are tailored to the complex molecular systems under study, of interest for energy, health, and the development of new (nano)-materials.